I kinda hate making lists at this point, but you guys know you wanna read this one. When I say I’m ranking “original” series I mean stuff by/for Cartoon Network, you can find a list of original series and acquired series here. Now lets get on to the list. Close but not quite on my list. Johnny Bravo was pretty good. 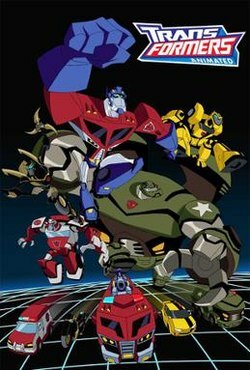 Transformers Animated is great but tainted by all 46 other incarnations of Transformers they’ve done since it, Ben 10 is in the same boat. The Grim Adventures of Billy & Mandy was…solid. I didn’t like Codename: Kids Next Door but everybody else sure did. 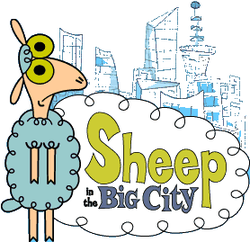 Sheep in the Big City was good but not as memorable as the rest so it didn’t make the cut. Now for the actual list. Cow and Chicken was hilarious, weird, but hilarious. The show follows biological siblings Cow and Chicken in their adventures of being antagonized by the flamboyant “Red Guy”. Dexter’s Laboratory follows a boy genius with a secret lab in his eternal battle with sister Dee Dee. The best part of this show for me, was the intro. Truly epic. Samurai Jack was the epic show that led to the best Star Wars cartoon and then came back again for a fantastic revival season. The series follows an unnamed Samurai who gets sent forward in time to a world ruled by a shape-shifting demon named Aku. Definitely awesome. Chowder follows a child in his adventures as a chef’s apprentice. Chowder has a never ending appetite and tends to cause problems for his master Mung Daal and Shnitzel who works at “Mung Daal’s Catering Company”. This show isn’t just hilarious, it’s also quite beautiful. You see his clothes? I’m not sure how to describe that, but its beautiful. I love it. Also, Schnitzel doesn’t actually talk, and thats weirdly funnier than it might sound. The Powerpuff Girls, created by Professor Utonium in an attempt to create the world’s most perfect girl. The recipe calls for, “sugar, spice and everything nice” as well as Chemical X. Bubbles, Blossom, and Buttercup together form the crime fighting team the Powerpuff Girls against Mojo Jojo a mad scientist chimpanzee and several other villainous characters. The Amazing World of Gumball follows Gumball Watterson, a blue cat, his best friend/brother Darwin, an orange fish, and their unorthodox lives in middle school. This show makes made it to 7 on my list for the sole reason that my sister and I could lay perfectly still on the couch, and binge watch the same episodes over and over and over again. Its good the first time you watch it and its just as good the second and third. This show is one that made this list so hard to make. Flapjack, K’nuckles, and Bubbie, are a trio unrivaled in greatness. K’nuckles always has a scheme to put Flapjack at risk, Flapjack is always willing to do anything and everything for his captain, and Bubbie scolds K’nuckles and keeps Flapjack safe. This show was great. Ed, Edd, Eddy the only Cartoon Network trio better than the one listed above. This show was littered with funny characters and hilarious moments. It gets beat out by what I listed at number 4 for one reason. Did you love the characters? Courage was a tiny pink dog who lives with an elderly married couple that gets into some VERY strange situations. Looking back on this show it feels like Courage was hardly a coward with all the supernatural, paranormal, dark, and spooky circumstances he overcame. The funniest part of this show for me, was the way he spoke. Foster’s Home for Imaginary Friends was fantastic in every sense. The creativity, the art, the humor, the characters, all fantastic aspects of a great show. Mac has to come back to a home for imaginary friends every day to keep his own imaginary friend, Bloo. Perfect set up to see all kinds of different and unique characters in silly and fun adventures. But there is one character so unique and amazing that he trumps all the rest and gave this show a run for the number 1 spot. There are a few episodes focused on Cheese and every single one is a worthy testament to the greatness of this show. It was so hard not to name this number 1. I had a powerful debate with myself, Mordecai and Rigby vs the number 1 duo. Muscle Man, Pops, Skips, Benson, all the one-time characters, a great show. I’m not even sure how to describe the show other than its crazy and amazing. It was truly almost a perfect show and those of you that have seen it and are reading this are probably mad it isn’t number 1. Theres only one Cartoon Network series better than the gang at the park. I can’t think of more than a handful cartoons to ever be made as well as Adventure Time. Finn and Jake, a human boy and his adopted brother/best friend dog. In the futuristic post-apocalyptic land of Ooo theres always a crazy adventure to be had. Adventure Time tops the other shows on this list and the ones that didn’t make the cut and I firmly stand by that. The show is littered with gems and amazing moments like no other. You can break down great aspects of all the other shows (except maybe Regular Show) and Adventure Time does it better. Foster’s unique characters, Flapjack’s unique stories, all the other weirdness, Adventure Time does it better. Thats my list and I’m sticking to it. Let me know what you think of it and what changes you would’ve made on Twitter or comment below. To finish making my case, I’ll leave you with a few fantastic Adventure Time moments.